It may seem difficult to choose Steering Wheel Cover between so many different types of leather, since they all look very similar. 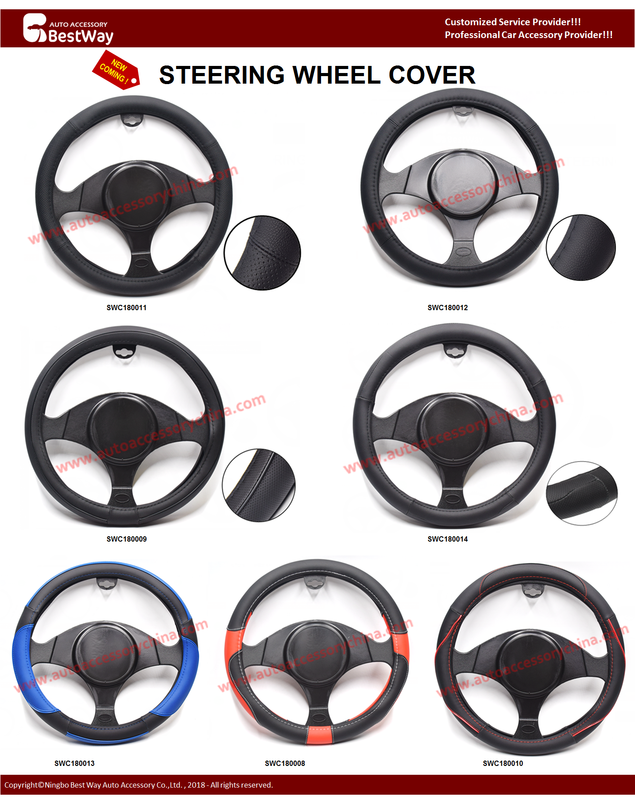 Here and have our Steering Wheel Covers listed by material and advantages and disadvantages to consider. Genuine Leather is the top grade material, soft and flexible, luxurious and sophisticated. High quality leather can last for many years, and develops its own patina with time, giving it a distinctive appearance as it matures and ages. Microfiber leather is a synthetic leather where high grade polyurethane resin and ultra fine microfiber bundles are combined together to mimic the microscopic structure of leather. The technique used to produce microfiber leather gives the end product a similar amino structure as genuine leather. Microfiber leather is a relatively new material in the market. Microfiber leather is lightweight, soft, excellent scratch, tear, and abrasion resistance. It`s more affordable than Genuine Leather but still expensive compared to other faux leather. Polyvinylchloride (PVC), also commonly referred to as vinyl, is essentially a flexible plastic made from PVC resin, various fillers, and additives such as plasticizers to manipulate its softness, color and texture. These faux leathers look like leather with artificially consistent texture. They are very inexpensive, easy to clean. They don`t require maintenance, since they are actually plastic product. Best Way are dedicated in providing high all kinds of Car Steering Wheel Covers, Car PVC Steering Wheel Covers, Car PU Steering Wheel Covers, Leather Steering Wheel Covers, Fabric Steering Wheel Covers- feel free to contact us for more information. Previous: 5 MOST USEFUL CAR ACCESSORIES REVIEW Next: HOW TO SELECT CARPET CAR FLOOR MATS?